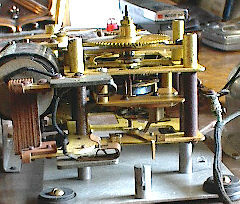 Unusual 14 inch Self Winding Clock Co Hairspring Movement Clock. 14 inch diameter with synch mech. 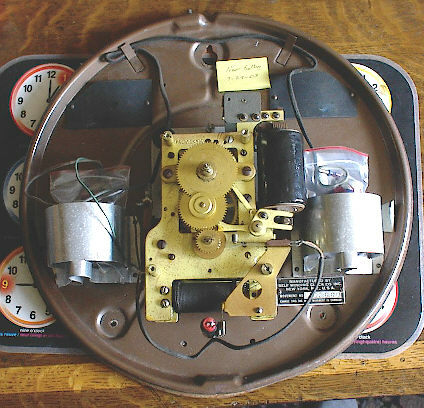 Note the bulb in the circle of the numeral 6 on the dial. 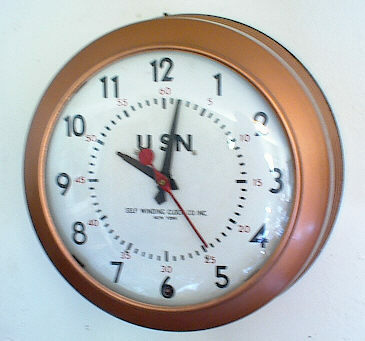 Letters USN painted on the dial. This supposedly was purchased at the Alameda Naval Air station in Calif, 10-20 years ago.